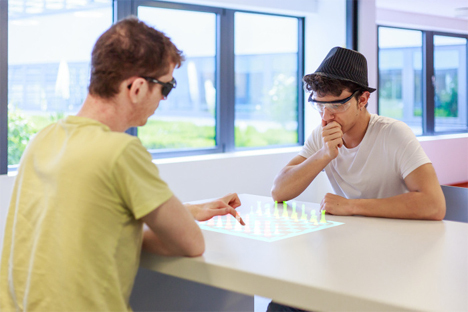 Wearable augmented reality platforms like Google Glass are some of the most hotly anticipated new types of technology, but developers have only just begun to explore what they’re capable of. 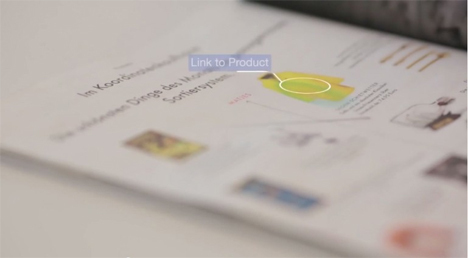 German start-up company Metaio wants to use your wearable AR gear to turn the entire world into your own personal touchscreen. Metaio’s technology is called Thermal Touch, and it works by reading the heat signatures left by your fingers on real-world surfaces. The current prototype uses a standard camera coupled with an infrared camera to interact with the real world. When you touch a surface, Thermal Touch brings up context-sensitive functions with which you can interact as if they were physical objects. 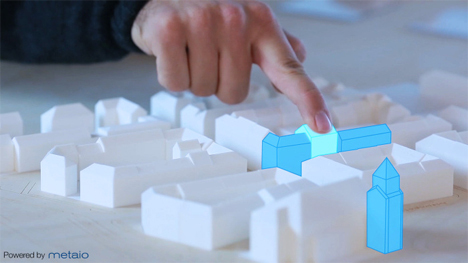 Some of the applications suggested by Metaio are pointing at a map to get directions; touching a car part to get information on its repair status; touching objects in a catalog to order them; or children touching their toys to bring up novel augmented reality functions.Thermal Touch can even differentiate between a finger hovering over an object and touching it since the heat signature between the two gestures is very different. If the technology seems too good to be true, it is – for now, anyway. Metaio recognizes the fact that there is a lot more research and work to be done in the field before technology like Thermal Touch can be widely used. The company says that infrared cameras and other sensors necessary for this technology to work seamlessly, reliably, and on a large scale will most likely be integrated in devices within the next five to ten years.